The Pool Cue is all that remains between a player and the Cue Ball on the baize topped Pool table, and it is the primary strike weapon employed to get the Pool balls into the Pool table pockets. 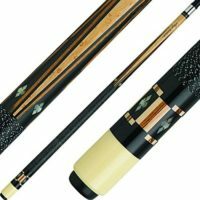 Selecting the appropriate Pool Cue, which would have two distinct characteristics, that is the weight, and the length is critical and would result in determining the course of the player’s game. Based on Newton’s Law, when the Cue hits the Cue Ball the weight behind the strike meeting the Cue Ball would set it in motion if the pressure behind the strike is adjusted or two different weights used the Cue Ball would behave differently. Hence basing this on Newton’s Law we could ascertain that by choosing the appropriate Pool Cue we could control our strike on the Cue Ball and either have a successful game and win it or even lose it. Heavier the weight of the strike, the impact would be stronger and lighter the hit, the effect would be weaker. Hence when striking a Cue Ball with a Cue, this principle should be taken into serious consideration. When playing Pool, we know that we cannot change the Cue Ball or adjust its weight because they are of an accepted international standard, and remains around six (06) ounces. On the contrary, we could select different weights of Pool Cues which would determine the course of our game, and on that score, if we look around, manufacturers of pool Cues too have standard weights. Pool Cues are commonly manufactured between 19 ounces to 21 ounces with half ounce differences in weight allowing players a wide range to select the one they would like to use. A pool Cue with a weight of 19 ounces would be better suited to strike the ball which would have a clean snap strike that could control the impact which is the ideal weight that those who start on the game would select. Professionals may select different Pool Cue weights which they would be comfortable with and just because your “Pool idol” uses’ a weight of Pool Cue that would not suit you too. His game may be entirely different to yours and picking your Pool Cue-based on prejudice would spoil your game, and if you are a beginner, it could have disastrous consequences, to the future of your game. 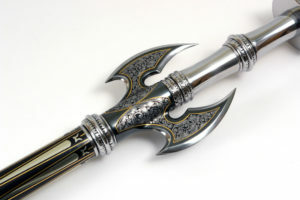 You would have better ball control with a lighter Pool Cue rather than a Pool Cue at 21 ounces, as it would hit the Cue Ball harder and being unable to control the momentum of the strike. Such a strike could send the Cue Ball on an erratic course hence not meeting your planned objective of getting it into the pocket, which would be the most important criteria of the game. Hence selecting a Pool Cue at the lower weight end which is 19 ounces and then determining how it would be in your hands and how it would decide your game. Once you have mastered your own game, it would enable you to try out with various other options of Pool Cue weights which would entirely be your prerogative based on your game. 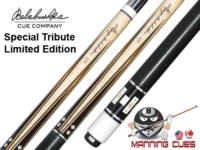 There could be instances where professionals would determine the shot that they have to play and then select an appropriate Pool Cue for that particular shot and that aspect would be limited to professionals only.